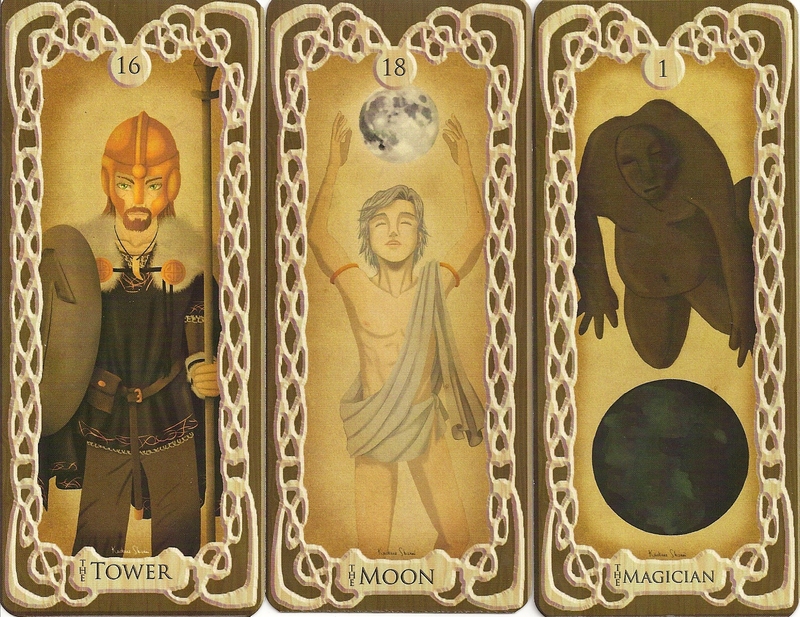 The cards depictions were sketched out on paper and then completely worked in Photoshop. They are framed in wood-like textures and "painted" on a parchment texture. The cards measure 2.5×5.8 inches (6.35 × 14.73 cm), the deck came with a LWB with a description of each card.